2 In large bowl, combine all ingredients except potatoes. Add potatoes and toss to coat. 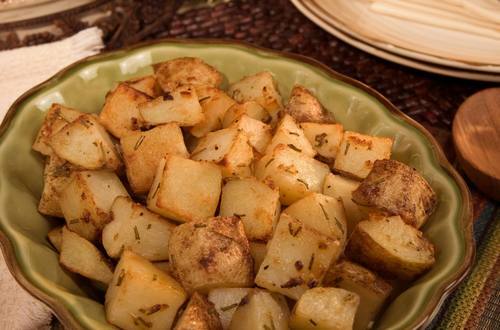 3 In large shallow roasting pan, evenly spread potatoes. Roast, stirring once, 40 minutes or until potatoes are tender and golden brown.